E - MALONE(7); LEGGETT(1). 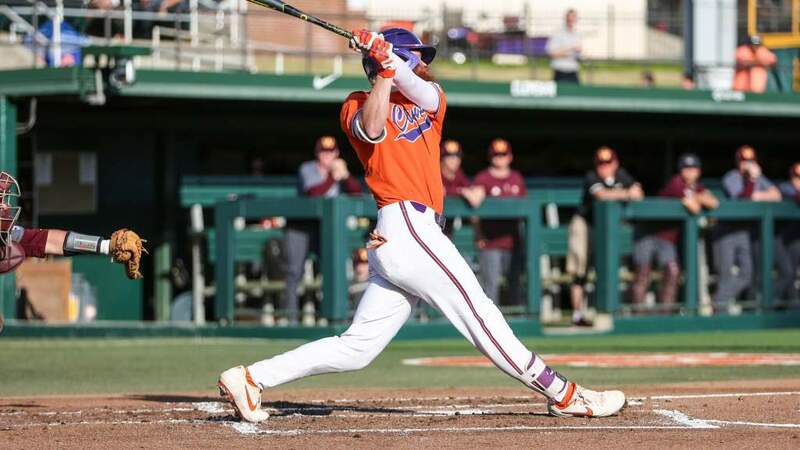 DP - Florida St. 2; Clemson 1. LOB - Florida St.
ROBINSON(4). SB - MAXIE(1); COLVIN(15). Win - FARIS (7-2). Loss - CHAMBLISS (10-4). Save - None. FARIS (GILDEA); by FARIS (GUINN); by MARSHALL (LEGGETT). CHAMBLISS faced 3 batters in the 5th. p, bunt. GUINN grounded out to 3b. 0 runs, 0 hits, 0 errors, 0 LOB. looking. MAXIE hit by pitch. ROBINSON flied out to lf, SF, RBI; STRAUSS scored. STORRER advanced to second; COLVIN scored. D'ALESSIO struck out swinging. HARBIN out at second 2b to ss. 2 runs, 4 hits, 0 errors, 2 LOB. ss to 1b; GILDEA out on the play. 0 runs, 0 hits, 0 errors, 1 LOB. to ss to left field. STORRER grounded out to 2b; M. SMITH advanced to third. out swinging. 3 runs, 4 hits, 0 errors, 1 LOB. 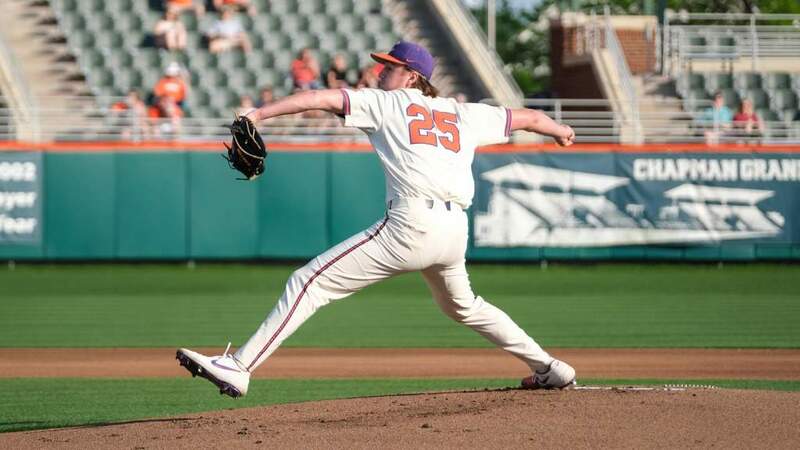 Clemson 6th - CHAMBERS to p for BURGE. WIDMANN singled up the middle. CASANOVA grounded into double play ss to 2b to 1b; WIDMANN out on the play. DEMMINK grounded out to 3b. 0 runs, 1 hit, 0 errors, 0 LOB. Florida State 7th - ORAVETZ struck out looking. T. THOMAS walked. to cf. MAXIE struck out looking. 0 runs, 1 hit, 0 errors, 2 LOB. to third. HARBIN lined out to lf. 0 runs, 1 hit, 0 errors, 2 LOB. 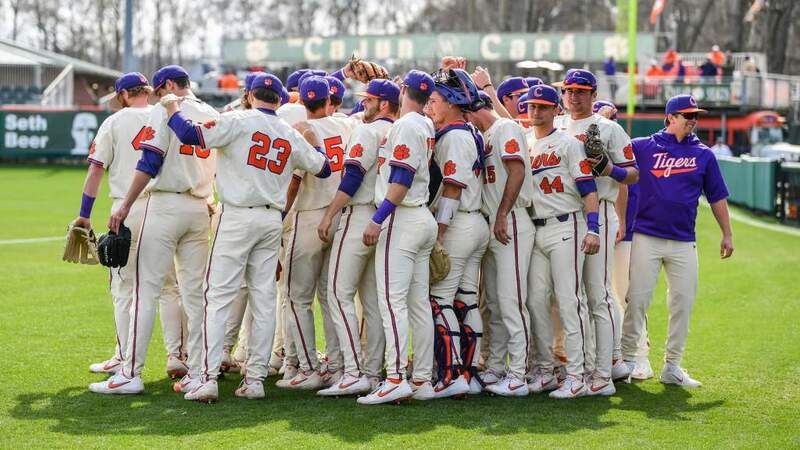 Clemson 8th - MARSHALL to p for HYDE. INGRAM pinch hit for D'ALESSIO. throwing error by 2b. GILDEA grounded out to 2b; STRAUSS advanced to second.